Most people have never heard of the 20,000-30,000 Jews who fought back against the Nazis as Jewish partisans. These Jews were responsible for blowing up thousands of armored convoys and thwarting the Nazi war machine in countless ways, including rescuing people from the ghettos, procuring food and medicine, tending to wounded soldiers, sabotaging German communications and supply lines, punishing collaborators, sheltering civilians and saving thousands of Jewish lives. 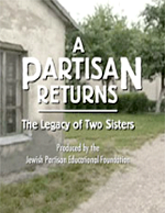 Learning about who these partisans were and what they accomplished has the power to transform people's perception of the Jewish experience during the Holocaust. 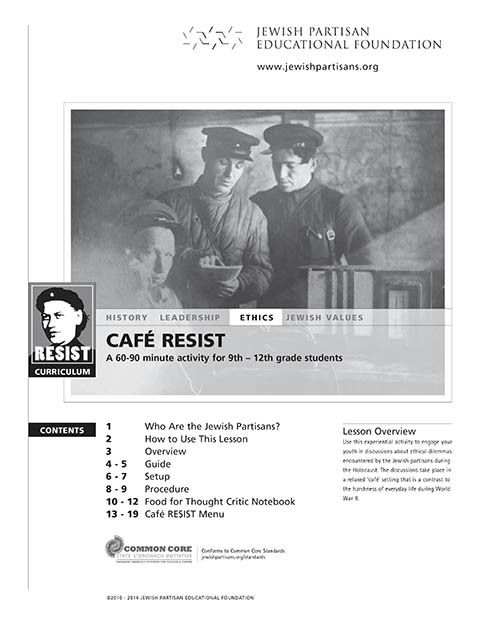 The Jewish Partisan Educational Foundation (JPEF) has produced a comprehensive and thought-provoking curriculum called RESIST, designed to transmit the enduring understandings arising from the stories of the Jewish partisans. With layers of interactivity unprecedented in most any curriculum, RESIST is designed for 6th – 12th grade students in formal and informal settings and is implemented in Jewish and secular schools worldwide. Learn about what JPEF accomplished in 2018 and our plans for 2019. Since 2000, JPEF has brought the inspiring Jewish partisan legacy to over one million young people. Our innovative educational materials on the wartime resistance of the Jewish partisans -- and their lessons of courage, and perseverance -- strengthen critical thinking, foster increased self-esteem, and promote ethical decision-making, empowering students to stand up and make a difference. Today, JPEF is reaching tens of thousands more educators and students through our partnerships with national and regional organizations, including the United States Holocaust Memorial Museum, Facing History and Ourselves, Scholastic, Inc., the Illinois Holocaust Museum, the Museum of Jewish Heritage, and many others around the world. Did you know that JPEF materials have been used with over a million students worldwide? Your support can help us reach a million more.